Enter your dates and choose from 2,233 hotels and other places to stay! Volcanoes, ice caves, hot springs, Northern Lights, waterfalls, glaciers, spouting geysers. It's hard to imagine all these natural wonders on one island with a population of around 300,000. 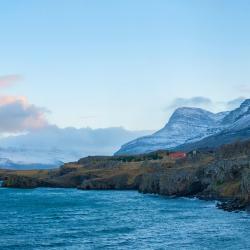 Iceland's otherworldly landscape is a fitting setting for the Vikings who once inhabited the 'land of ice and fire'. 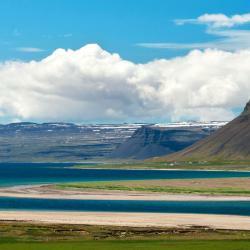 Take a drive around Iceland's ring road in a 4x4 and you'll feel like you're on another planet. 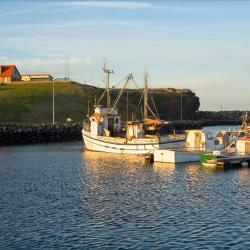 One minute you'll be cruising past the tumbling waters of Gullfoss and the next you'll be alongside the eerily beautiful black-sand beach of Vik. Don't leave without taking a dip in a hot spring. 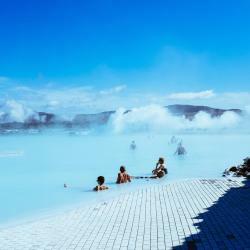 If you want to avoid the crowds of the Blue Lagoon, other options include Mývatn in the north and the hot streams of the Reykjadalur valley. The elusive Northern Lights feature on many a bucket list. There's no sure way to see them but it’s more likely during the winter months between September and April. 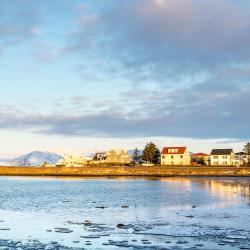 Although it’s a lively city, you can see most of Reykjavik in a couple of days, and it’s secondary to the natural wonders the rest of the island has to offer. Main sights include the towering Hallgrímskirkja Church and the National Museum exhibiting the country's compelling history and culture. 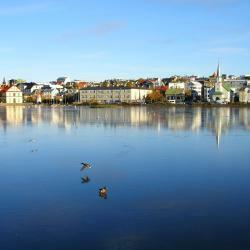 As the capital, Reykjavik offers the biggest choice of accommodation with a variety of hostels, hotels and apartments. A number of cosy guesthouses are dotted along the ring road but note that many are closed during the winter months. Fosshótel Mývatn is located next to Lake Mývatn, 6.8 km to the Mývatn Nature Baths. The hotels provides free WiFi and free private parking. This was the best hotel we've stayed in!! The rooms are very clean and comfortable. The hotel staff was very friendly and helpful. The breakfast was rich and delicious. 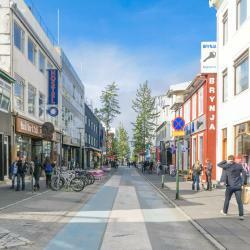 Located 400 metres from Hlemmur Square, 105 - A Townhouse Hotel is located in Reykjavík, 800 metres from Hallgrímskirkja Church. Private parking is available on site. WiFi is free. Great place to stay! In the centre of everything and they will help you with anything! Would definitely recommend! 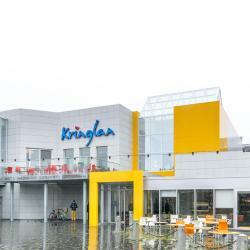 Located next to Hlemmur Square, this hotel is just off Laugavegur, the main shopping street in Reykjavík. 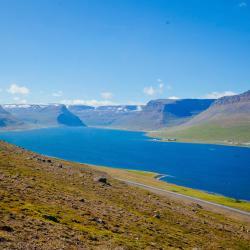 It offers a view over the city and Esja Mountain. The sustainable materials; the comfortable & clean rooms. The lounging area and friendly staff was the highlight. In fact thanks to one of the staff members we found a great spot to see the aurora lights not too far from the city. 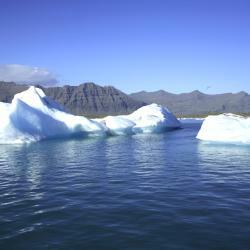 Fosshotel Glacier Lagoon offers accommodation in Hnappavellir. Guests can enjoy the on-site restaurant and hotel bar. 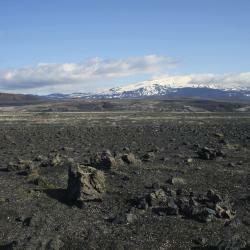 Skaftafell is 29 km from the hotel. Free WiFi access is available. The hotel standing close to the glacier and has magnificent view from every room. They have special call service when the northern light appear ,just inform at the front desk. We were lucky to see both milky way and Northern light. Skuggi Hotel Reykjavík offers accommodation in Reykjavík only 140 metres from Laugavegur Shopping Street. 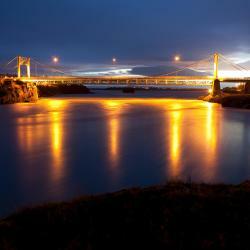 Guests can enjoy the on-site bar or visit one of the many restaurants and bars within the... The staffs were very helpful and the hospitality shown was great. We have an early flight to catch and the hotel did prepare some pastries and hot drinks for guests who are checking out early morning. 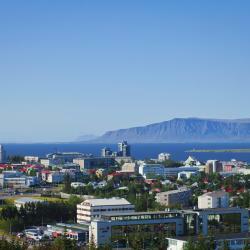 Location of the hotel is nearby to main attractions of Reykjavik. 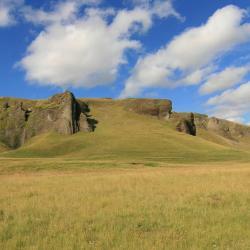 This hotel is quietly situated 2 km from Lake Mývatn and 30 minutes’ drive from the Godafoss Waterfall and Krafla Crater. It offers free Wi-Fi and rooms with modern furnishings. A modern hotel and doesn’t stand out too much in the nature. The big windows are great for watching nature and gives the feeling of being outside. The food was very tasty and the staff was really nice. We really liked the Northern Lights Wakeup-Call they have at the reception unfortunately we didn’t get to see it. The showers are perfect for people with disabilities or the ones who can’t stand or walk. 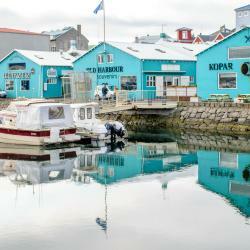 This boutique hotel is next to central Keflavik’s picturesque marina, 3.5 km from Keflavik Airport. Habitacion comoda, vistas bonitas, limpieza impecable. Traslado al aeropuerto y piscina caliente (aunque no nos dio tiempo a usarla). Volveria a alojarme sin duda. 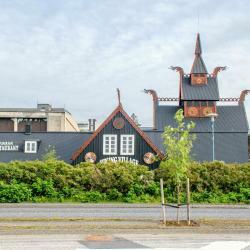 Featuring a bar and a restaurant, B59 Hotel is located in Borgarnes. This 4-star hotel offers a 24-hour front desk and free WiFi. Impressive sea and mountain views can be enjoyed from the hotel. Room was spacious, a real luxury, plus a door that opened outside to a small deck. Great for the sunset. 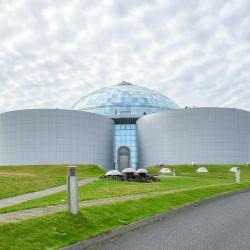 Opening in July 2018, Hótel Kría is situated in Vík. Among the various facilities are a garden and a bar. There is a restaurant. 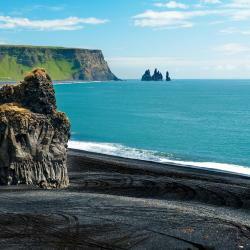 The black sand beaches begin about 5 minutes' walk from the hotel. 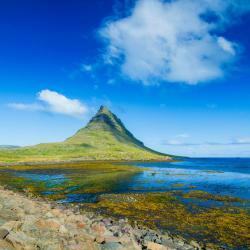 Great location in Vik. Close to the few restaurants in Vik. Close driving distance to the black sand beach. Good location for seeing many sights. Very modern. Very helpful staff. Located within 3 km of Kirkjugólf and Systrafoss twin waterfalls, Magma Hotel offers accommodation in Kirkjubæjarklaustur. Rooms are modern with Nordic design and free WiFi. Hotel is designed beautifully! Amazing details and finishes. Everything was super good. Featuring a lounge and views toward Eyjafjallajökull, UMI Hotel is located at the foot the famous volcano in South Iceland. It features a terrace and views of the sea. Clean, modern, stylish hotel. Everything we needed was provided. Also the location is great! 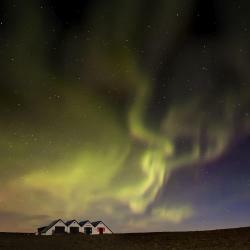 Far enough from any major settlements that you can witness the northern lights right outside the hotel. Plus, the owner and staff were amazing, friendly, and helpful! Located on Laugavegur shopping street, ION City Hotel offers accommodation in Reykjavík, with a fitness centre and restaurant. 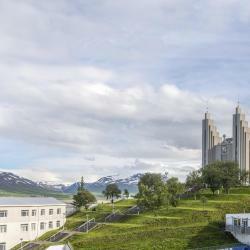 The Einar Jónsson Museum and Hallgrímskirkja Church are 500 metres away. The room was very spacious and nicely arranged to separate business and leisure! Friendly personnel - extra nice. The whole service. The personnel was perfect and the room very comfortable.